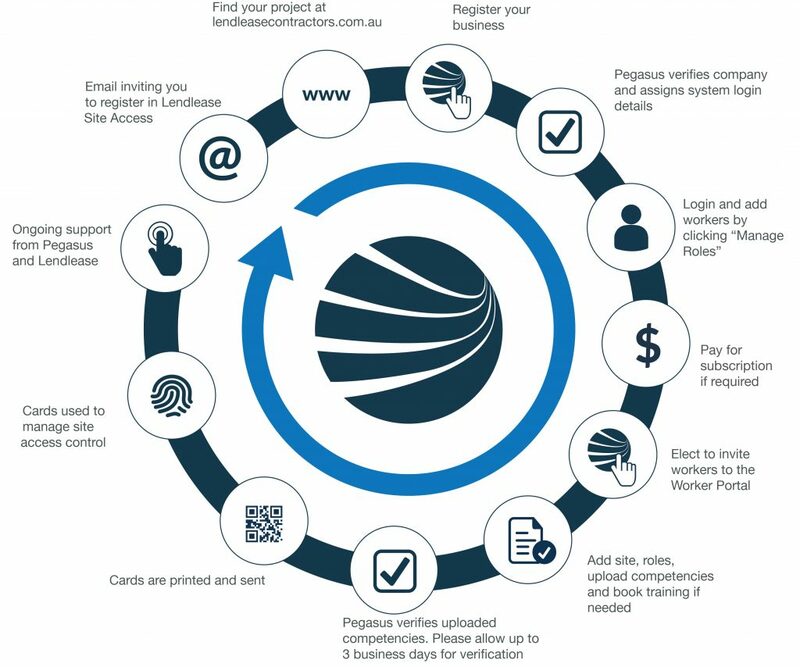 Follow the steps below to register your workers as contractors on the Lendlease Monash TEd Project. The next steps are to add your workers to ensure their compliance to work on the Monash TEd Project. – any additional applicable role if the worker will use an EWP, scissor or any other mobile plant or loading shifting equipment to ensure mandatory VOC requirements are met. You will also be required to book your worker’s Part B Site Induction. We appreciate that some workers will have already completed the site induction, but we ask that during this transition phase, you please book them in again. Upon successful registration, you will be advised if a re-induction is necessary. Pegasus will validate the documents you’ve uploaded for your workers during registration. You’ll be emailed if there are any issues and given a chance to update the information. If you have not selected the relevant working role/s, the application will be returned. Please allow up to five working days for worker registration to be verified and access ID cards sent to site. On successful completion of the Part B Site Induction, and providing all other documents and information have been approved, Lendlease will distribute access ID cards to work on the Monash TEd Project. Workers must carry their ID card and licences for their working roles at all times on site.